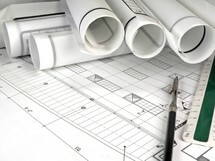 Design build HVACOur commercial hvac Design/Build Group specializes in the design and development processes unique to commercial and industrial buildings. This team of dedicated professionals helps to establish and understand the specific needs of each client individually. Focused on providing the most cost-effective solutions to engineering challenges, we are involved in a diverse range of commercial heating and air conditioning projects from the initial planning stages to design, construction, all the way through operational training. If you ever contemplate, plan, build, or renovate: Public Facilities, Retail Establishments, Restaurants, Churches, Clinics, Production Facilities, Multi-Tenant Buildings – call Hovland’s first. Another one of our specialties includes fixing existing problematic or difficult commercial HVAC systems. Customers can call on Hovland’s to remedy nearly any concern with their system. Once we have been contacted and arrange an onsite visit, the next steps include: analyzing possible solutions, system design engineering, and cost estimation to implement the solution. With the experience and expertise to design your complete comfort system from the ground up, Hovland’s will show you the best system for your specific needs and save you money.